The Crucible is an industrial arts center in Oakland; most of the year they give classes in welding and jewelry making and blacksmithing. Once or twice a year, they produce a big blowout show, usually an opera, showing off all the crazy skills they have on hand. I collaborated with an amazing group of people, including a choreographer from the San Francisco Ballet, a bboy troupe (the top breakdancer on the west coast played Mercutio), a wushu martial arts troupe, fire dancers, a troupe of aerialists, a whirling dervish with a flaming kilt as the Prince, a metalsmith pouring molten bronze wedding rings as Friar Lawrence, swordsmiths making propane-powered flaming swords for the Mercutio/Tybalt fight, and more. 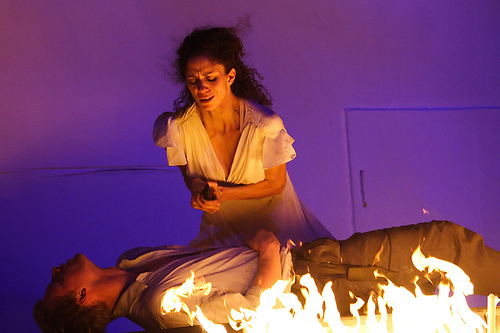 The sound and video in this clip are from Romeo & Juliet; the text is advertising The Crucible's next production. So what exactly was my job on this production? 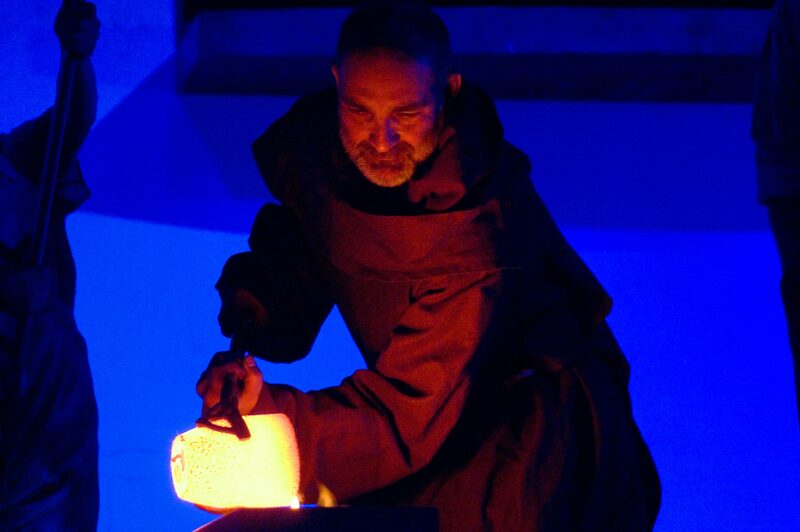 My title was “Stage Director”; I worked with Michael Sturtz, who is the head of The Crucible and the creator of the show. 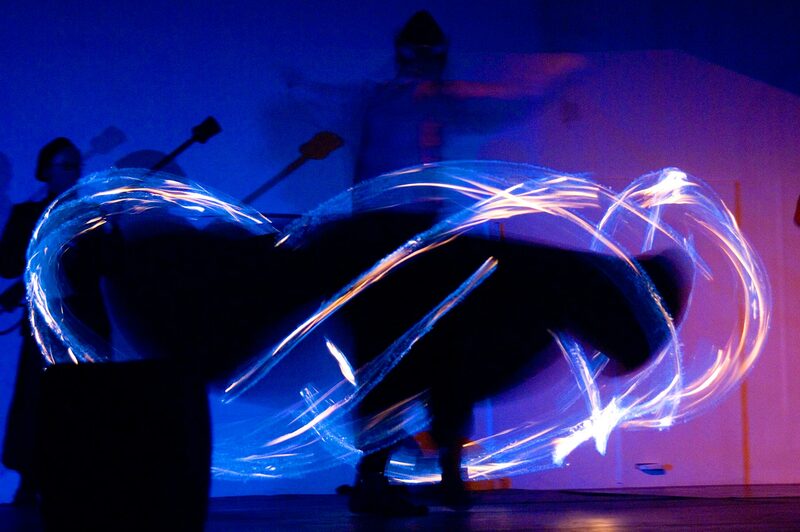 I was responsible for integrating the work being done by the ballet choreographer, the fight choreographer, the Wushu choreographer, the breakdancing choreographer, the fire dancing choreographer, the fire artists, the DJ, the designers, and the dancers themselves. 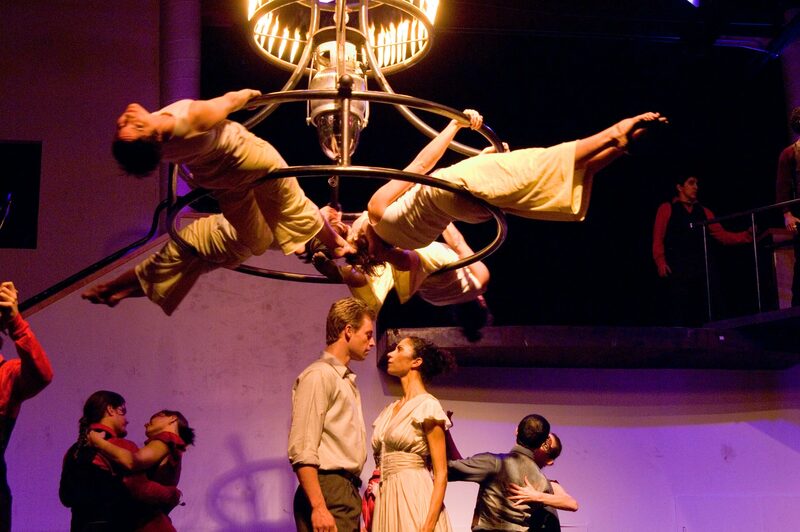 There was some creative input — staging bits and pieces where necessary, offering ideas to choreographers and designers, giving notes to designers and dancers — and a lot of communication and management and organization. It was a blast, and the show was absolutely incredible. One thing they neglected to teach you in shop class was how welding could be combined with an operatic aria or a ballet pas de deux, but fortunately the Crucible is here to fill in the interdisciplinary gaps. 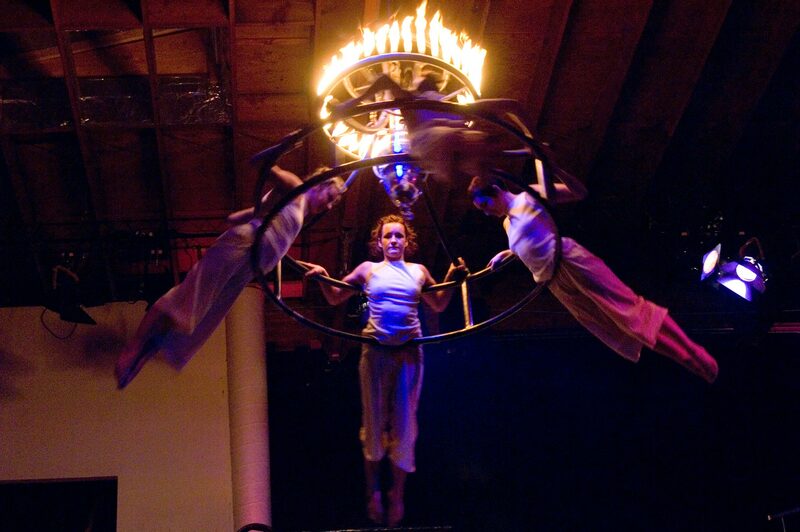 The Oakland foundry, sculpture studio, metal shop, and educational crafts lab also knows how to throw a hell of a party, from its summer Fire Arts Festival to its winter anniversary bashes, the eighth of which starts now. 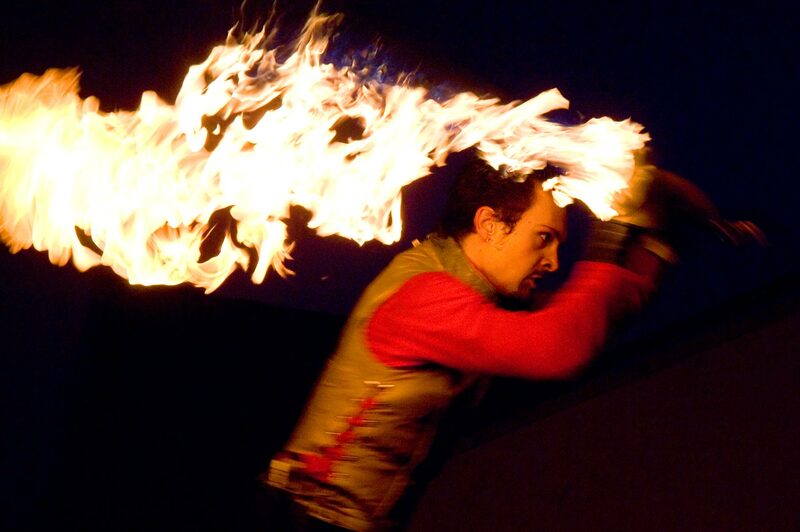 When you look over the classes the Crucible offers, you may notice fire dancing, fire eating, and stilt walking alongside blacksmithing, jewelry making, and woodworking, and get an inkling of the crossover possibilities, but the studio itself is way ahead of you. 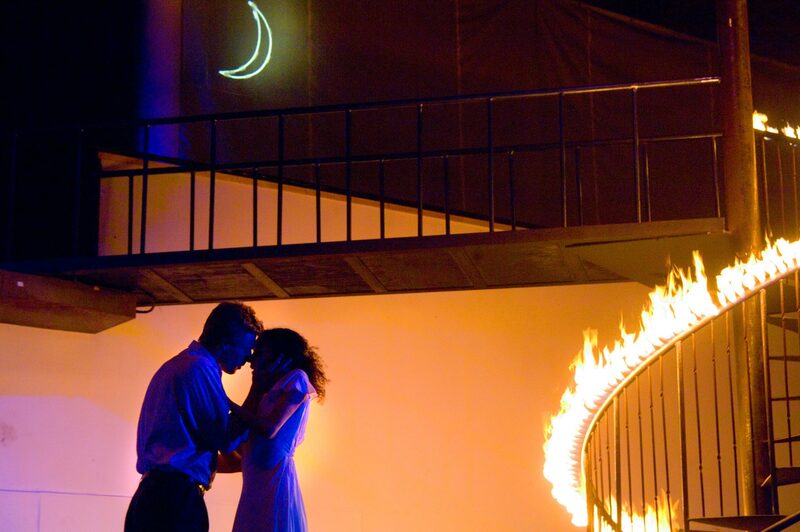 In recent years its anniversary bashes have featured spectacular fire operas combining the cultured pleasures of Purcell’s Dido and Aeneas (2005) and Bertolt Brecht and Kurt Weill’s The Seven Deadly Sins (2006), with the more universal ones of flying flames and molten metal. 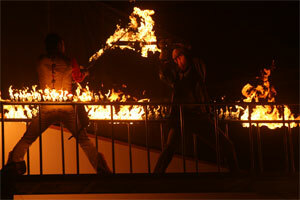 This year — Wednesday, in fact — the Crucible debuts its first fire ballet, The Most Excellent and Lamentable Tragedy of Romeo and Juliet: A Fire Ballet, combining Sergei Prokofiev’s classic score with a variety of fire performers, contributions from multidisciplinary SF arts combo the Flavor Group and Chinese martial arts studio Wushu West, ballet dancers, Crucible craftspeople, aerial dancers Flyaway Productions, a plot by some guy named Shakespeare, and choreography by Corrine Blum, late of the San Francisco Ballet. And you know what they say: If music be the food of love, it’s time to fire up the grill. All that sound and fury is designed and produced by Crucible executive director Michael Sturtz, with Impact Theatre founding artistic director Josh Costello serving as stage director and Mark Jan Wlodarkiewicz (DJ Vordo) as musical director. A fund-raiser for the Crucible, the show goes on Wednesdays through Saturdays through January 20. Doors 7 p.m., show 8:30. Tickets $25-$120. Info: TheCrucible.org or 510-444-0919. "It's all fun and fabulous, but it's also -- thanks to solid acting from the entire ensemble --surprisingly dramatically effective."